Many Kindle books might have the same question as above ones. Actually this is very common since Amazon keeps upgrading its Kindle readers and changing the eBook format it adopts. This has brought great inconvenience to those Kindle owners. Can you convert Mobi to AZW3 on Mac? Of course you can. In this guide, we would like to show you different solutions to help you convert Mobi to AZW3 file on Mac with different Mobi to AZW3 converters. Check the below content to learn how to convert Mobi to AZW3 file on Mac and choose the one that meets you more. eBook, aka e-book, standing for electronica book, is a non-editable and reflowable book composed in or converted to digital format for display on a computer screen or handheld devices. 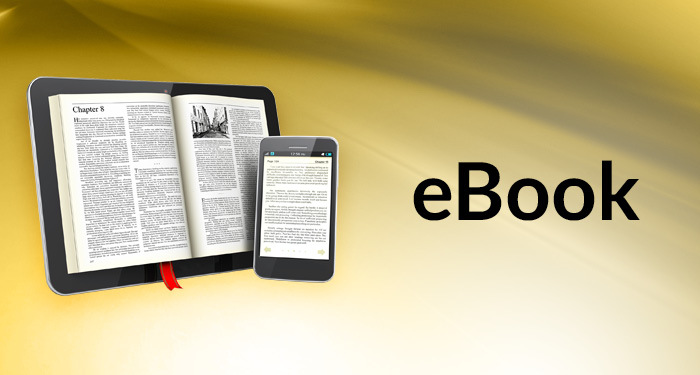 Currently, the most commonly adopted eBook formats include ePub, PDF, TXT, Mobi, AZW, AZW3, PDF, IBA, etc. eBooks can be read on any digital screen: computers, tablets, iPads, smartphones and e-readers. You could turn to some eBook reader software tools to read eBook on computer including Windows and Mac, like PDF reader, ePub reader, etc. Also, there are quite a lot of mobile eReader devices that could read eBooks for you. Amazon’s Kindle series, Rakuten’s Kobo series, Barnes & Noble’s Nook, Adobe Digital Edition, and iPad are currently the most popular eBook reader devices. Back to our topic and let’s talk about Mobi and AZW3 eBook format. When Amazon launched Kindle, mobi was the first format they used. While it had since been replaced by azw, it is still hugely popular. Mobis can be read by almost any device, except Nooks and Sony Readers. AZW3, along with AZW, are Kindle’s very own formats that can pretty much do everything you expect from it to do. It supports reflowable and fixed layout books, handles DRM and interactivity. The only backside is that it is only accepted by Kindle devices and Kindle apps. Amazon has applied DRM protection onto eBooks on its Kindle devices. That’s why you can’t directly share eBooks with others. You have to remove the DRM protection and then convert DRM protected eBooks from Kindle to DRM-free eBooks for sharing. 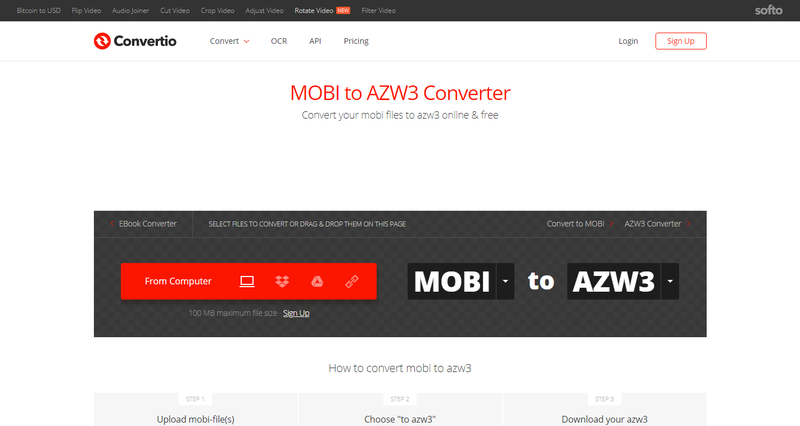 The below content would show you how to convert Mobi to AZW3 file on Mac in different ways. You need an eBook DRM removal and converter to handle the Mobi to AZW3 file conversion on Mac. Leawo Prof. DRM for Mac offers exactly what you need for converting Mobi to AZW3 file on Mac. Featuring a professional eBook DRM removal and converter inside, Leawo Prof. DRM could help you easily remove the DRM protection upon eBooks from Kindle, Kobo and Adobe Digital Edition, and then convert these eBooks to DRM-free eBook files, including Mobi to AZW3, ePub to Mobi, AZW to ePub, AZW3 to PDF, etc. Download and install Leawo Prof. DRM for Mac on your computer and then follow the below steps to learn how to convert Mobi to AZW3 file on Mac. Launch Kindle app on your Mac computer with your own account. If you don’t have one, create one. After logging into Kindle app, download all Mobi eBooks you want to convert to AZW3 file on Mac computer. Then launch Leawo Prof. DRM for Mac. On the “Home” interface, click the “Add Files” button to start to import Mobi eBooks from your Kindle app. After tapping “Add Files” button, you will see a popup window that lists all detectable categories. Open the “Kindle” tab on the left side bar. And then click the refresh icon. You will see all the downloaded books on the right frame. Select the eBook files you want to convert to AZW3 file on Mac. And then click the “Add” button at the bottom right corner. After loading source Mobi eBooks, click the pencil icon on each loaded Mobi eBook file and then choose “azw3” as output format. For time saving, you could check “Apply to all files” button under the “Option” box. On the bottom of the “Home” window, choose output directory in the “Output” box. With all the settings done, click the blue “Convert” button at the bottom right corner to start removing DRM from Mobi eBooks in Kindle and converting Mobi to AZW3 file on Mac. The conversion will start instantly. You could view all the conversion tasks. After converting, you could view all converted Mobi eBooks (now in AZW3 format) under the “Converted” tab. Leawo Prof. DRM for Mac is far more than an eBook DRM removal and converter tool that could remove DRM protection from Kindle, Kobo and Adobe Digital Edition and convert these eBooks to DRM-free eBook files. It’s also an iTunes DRM removal and converter that could convert iTunes DRM music/video/audiobooks, Audible audiobook converter to convert DRM Audible audiobooks, and Spotify music downloader that could remove DRM from Spotify music and download Spotify music to DRM-free audio files. Calibre for Mac is another wonderful eBook DRM removal and converter that could help you remove DRM from Mobi eBooks and then convert DRM Mobi eBooks to AZW3 files on Mac. But this Mac Mobi to AZW3 file converter would be a little bit more complicated since it requires you to install extra DRM removal plugin to complete the DRM removal. 1. 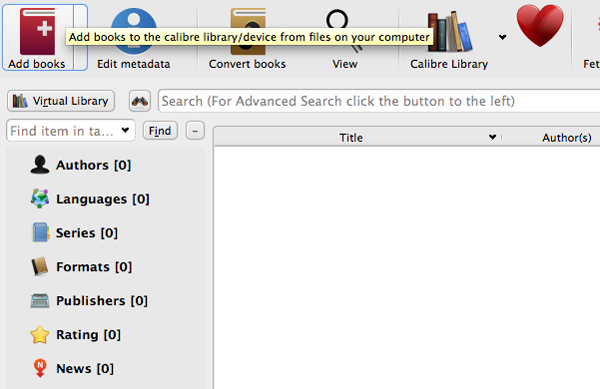 Download and install Calibre on your Mac computer. It only works on Mac OS 10.9 and later. Also, download and install necessary plugin. 2. 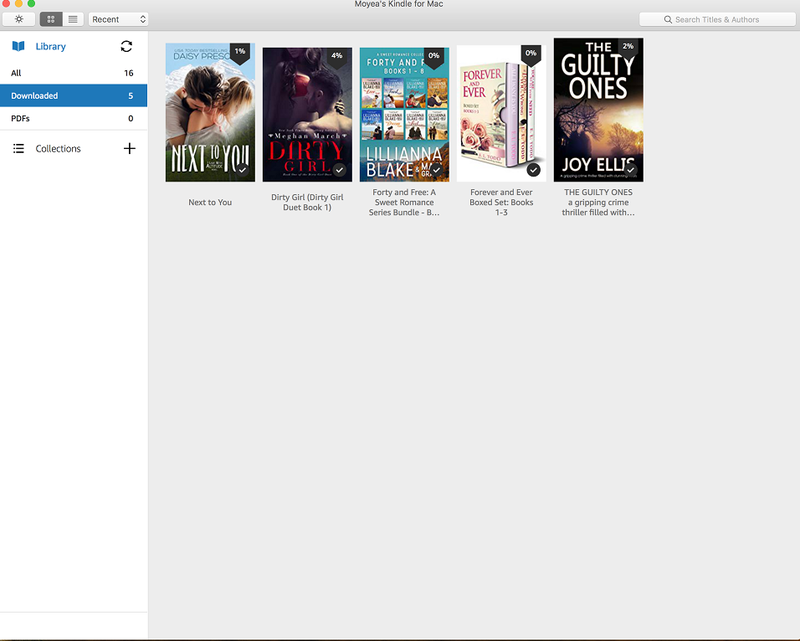 Click the “Add books” button to add Mobi eBooks from your Kindle device. You have to connect your Kindle device to Mac computer. 3. Check the eBook on the timeline and then click the “Convert books” button on the menu. 4. Choose your desired file format from the Output Format drop-down menu, and then click OK. Since you need to convert Mobi to AZW3 file on Mac with Calibre, choose AZW3 as output format. 5. Once your chosen e-book has successfully converted format, it is ready to be sent to your e-book reader. You need to connect your new Kindle device to computer as target device here. 6. After sending, just eject your device. 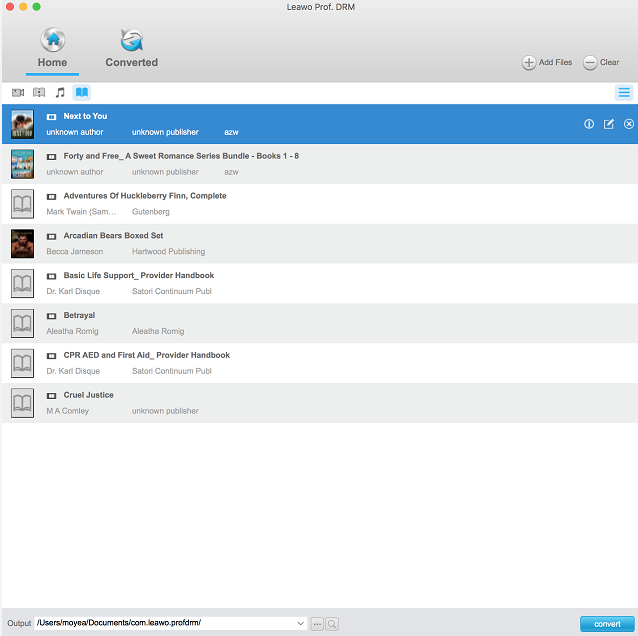 Calibre would be a wonderful choice for you to convert Mobi to AZW3 file on Mac. But obviously, you can see that you won’t get the final target AZW3 file on Mac since it would be directly sent to your device, while Leawo Prof. DRM for Mac retains AZW3 file on your computer hard drive, which lets you freely make use of the final AZW3 file. You could also convert Mobi to AZW3 file online with online Mobi to AZW3 file converter tools. You could just search online for a “mobi to azw3 file converter” on your browser, and then you will get quite many useful tools. 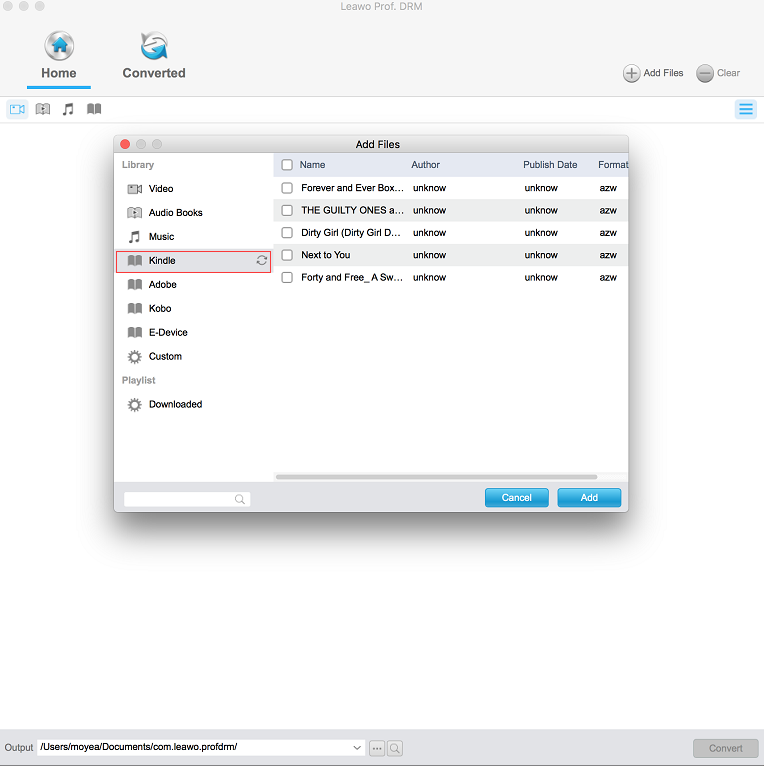 Here, we would like to take convertio.co for example to show you how to convert Mobi to AZW3 file on Mac. Check the below steps to learn how to make use of online Mobi to AZW3 converter to convert Mobi to AZW3 file online for free. 1. Open the page convertio.co/mobi-azw3/. 2. Sign up with this online Mobi to AZW3 converter. 3. Click the red “From Computer” button to browse and upload Mobi eBooks from your computer for converting. This requires you to download Mobi eBooks from your Kindle to computer hard drive. Otherwise it won’t work. 4. 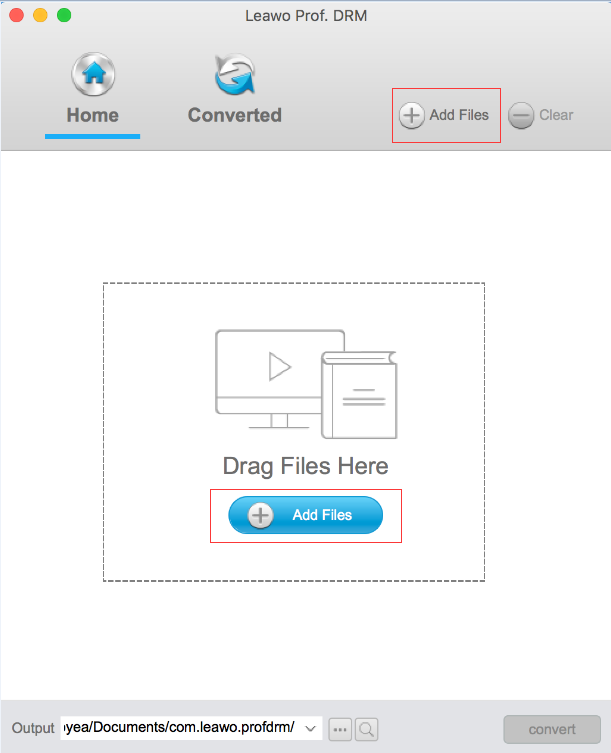 Click the “Convert” button to let it convert Mobi to AZW3 file for you. 5. Download the converted Mobi file (now in AZW3 format) to your computer. 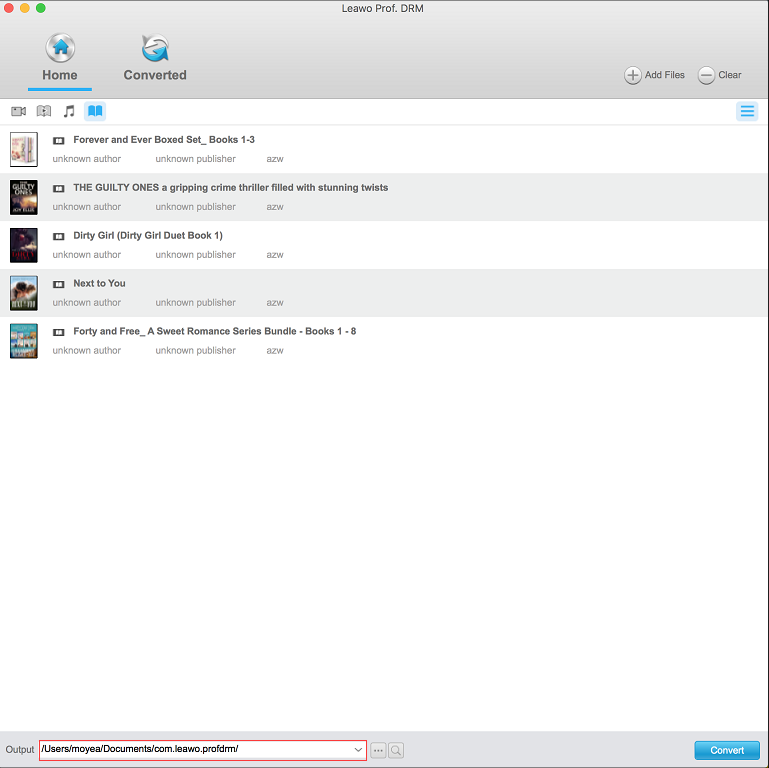 After downloading the converted Mobi eBook files, you could then transfer the converted Mobi eBook files to your own eReader or share with others. We have made a detailed comparison between these 3 different Mobi to AZW3 file converter for Mac computer in the below table for you. EPUB, MOBI, PDF, ZIP .TXT, TXTZ, RTF, TCR, RB, PMLZ, PDB, and AZW3.